Get yourself back to a healthy weight naturally. 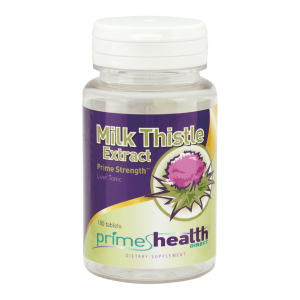 This diet supplement will get you started with its powerful weight management action. 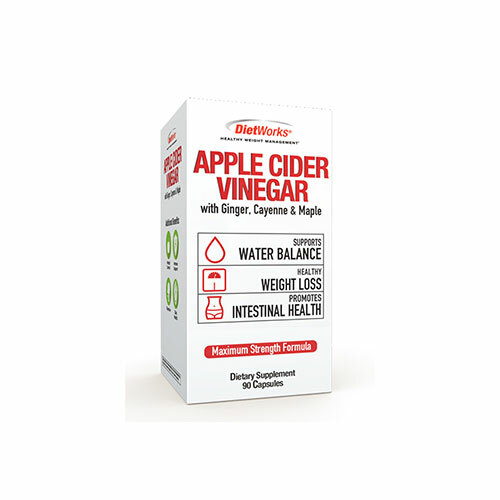 Diet Works Apple Cider Vinegar capsules could give your weight-loss regime a boost, and help you naturally reach your healthy weight with this weight management supplement. Apple Cider vinegar has been used to treat many health problems for centuries. Many older people have found it invaluable in helping them lose weight; control their weight; and to maintain a proper fluid balance in their body. Being overweight can lead to many health problems with serious health consequences. As we age, gaining weight seems easy and losing it hard. The health problems caused by being overweight also become more serious for the older person. Besides being a valuable aide to weight loss and control; Apple Cider vinegar has been shown to promote good digestive system health; improve skin condition; and boost your immune system. Many find Apple Cider vinegar pungent and the taste tart. 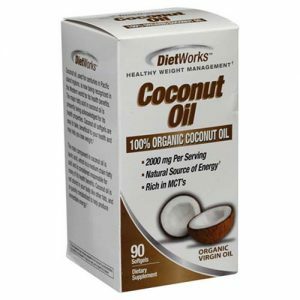 Diet Works® has created an easy-to-swallow capsule with flavorings making it palatable to anyone. Take 1 capsule up to three times daily as a dietary supplement or as directed by a healthcare professional.